The developers of Starpoint Gemini Warlords have released another large update for the Xbox One version of the game. The patch’s main mission is to introduce changes to the game’s economy, as well as some gameplay adjustments. Oh, and also a brand new ship for the Battleship class, called Glycon. 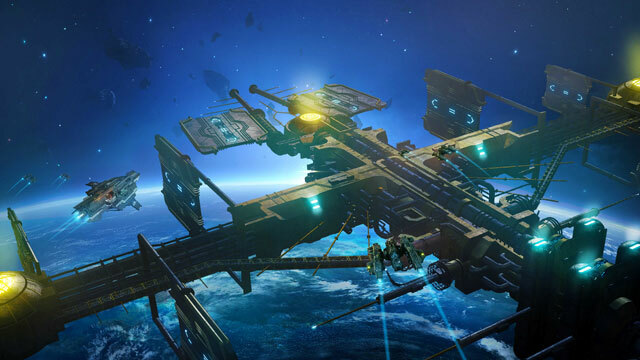 So, a few months after Starpoint Gemini Warlords came out on the Xbox, the developers have launched a large update, introducing improvements to economy and gameplay. First off, the economy. The mining will now be cheaper in the game. The devs are reducing the construction prices for all three types of mine, and costs of Refit and Support research. Next, collecting resources. Asteroids, gas pockets, and derelicts will now net you more resources, and there will also be a price increase for commodities. Now, the changes to gameplay. For you truckers, you’ll be happy to know that stations will offer more equipment in storage. Also, freelance mission rewards will grant more credits, and they should scale better now. Also, conquering outposts, stations and planets will give you more resources and credits in Conquest. There’s also good news for you “warmongers and warlords.” The update is overhauling the way that boarding works. Specifically, you won’t have to collect research percentages for foreign ships. In other words, you’ll now be able to build the foreign ships immediately after boarding, provided that you meet all the other required conditions. Oh, and a special treat for last. The new update is going to introduce a new ship, called Glycon. It’s in the Battleship class. The Glycon is a litte more powerful than the other ships from the same class, but not in all stats. You can check out the full patch notes below.